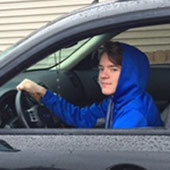 The State of Ohio requirement for teens driver's education includes completing 24 hours of either physical classroom or online classroom PLUS the completion of 8 hours of in-vehicle training within a 6 month period of time. 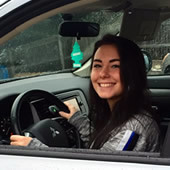 Teens may start their classroom training with Suburban Driving School at 15 and 5 months of age! Silver Program consists of state required 24 hours of physical classroom and 8 hours of in-vehicle lessons after school at either one of the local high schools or in the evenings, weekends or over schools breaks at one of our education centers. Gold Program consists of state required 24 hours of physical classroom, 8 hours of in-vehicle lessons PLUS an additional 2 hour in-vehicle lesson after school at either one of the local high schools or in the evenings, weekends or over schools breaks at one of our education centers. The additional 2 hour lesson is designed to practice areas the customer and their teen desire more help with. Online Bundle Program - consists of state required 24 hours of online classroom and 8 hours of in-vehicle lessons. Online Classroom Only consists only of the 24 hours of online classroom for customers who may desire to complete their 8 hours of in-vehicle lessons with another driver's education company. Drive Package Only consists only of the 8 hours of in-vehicle lessons for customer who have completed their 24 hours of online with another online classroom provider. Juvenile Remedial Program consists of the 6 hours of brush up physical classroom training required for teen customers who find themselves needing to satisfy local court requirements.